This exercise combines two of the previous. 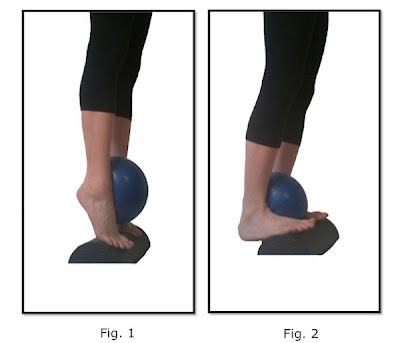 You will do the calf raises on the step to increase the range of motion, and you will place a ball between the medial malleoli of the ankle to aid in ankle alignment and balance. 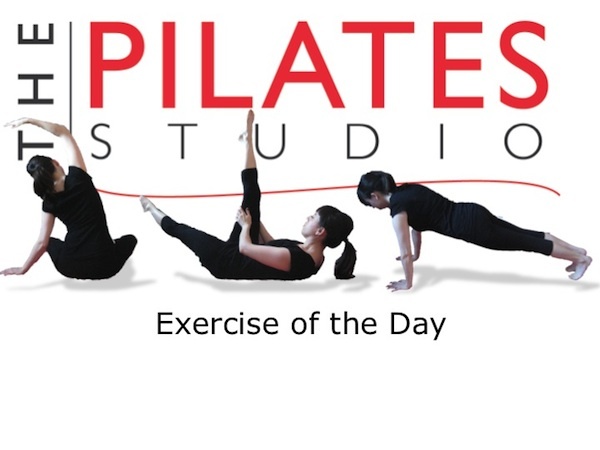 Remember that this is a full body exercise that the length in your spine and the lift in your belly is as much a part of the exercise as the ankle work. For the sake of safety, make sure that there is a railing that is close for balance.